Community Supported Agriculture (CSA) is a way for members to connect directly to their local food system by engaging with a local farmer in their area. The CSA model took root in the United States when a group of community members, who wanted to help their local farms grow and succeed, chose to directly invest in a farm at the beginning of a growing season. Their investments helped to off-set the seasonal start-up costs the farm faced. In exchange for their investment, these members received the bounty that the farm produced that year. This type of relationship is at the heart of the local food movement and is the material of which the fabric of local economies and communities is woven. Click here to read more about how a CSA works! 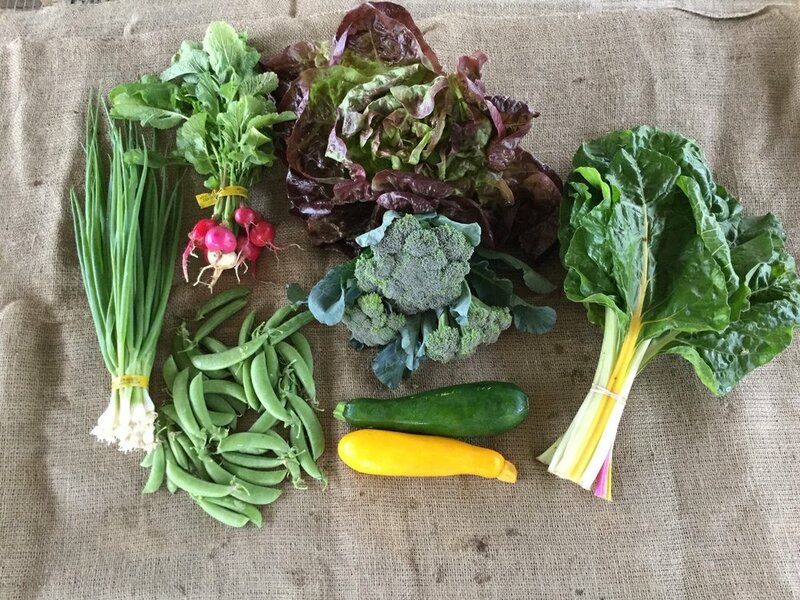 Our vegetable CSA shares include 20 deliveries of Certified Biodynamic and Organic vegetables, May through October, with a choice of five convenient weekly pick-up locations in Boone, Zionville and Banner Elk. There are meat add-on options of Animal Welfare Approved, pasture-raised ground beef, sausage and/or whole chicken to add to your weekly vegetable share.